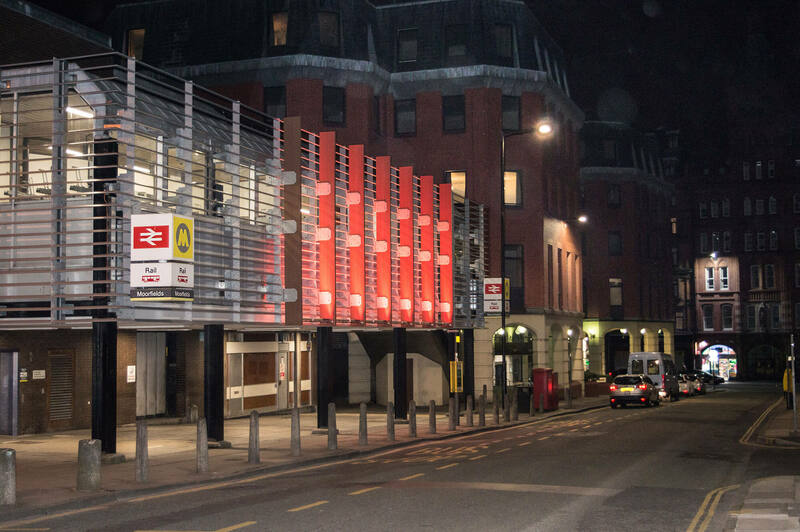 As part of the regeneration of Moorfields Station in Liverpool, they wanted to explore a bright and colourful lighting style. 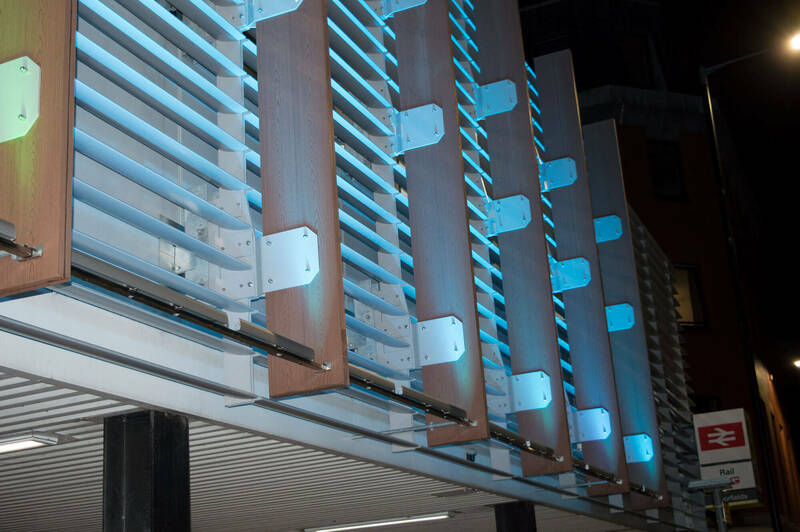 Brief: To show colour changing LED lighting for the vertical fins on the external facade. 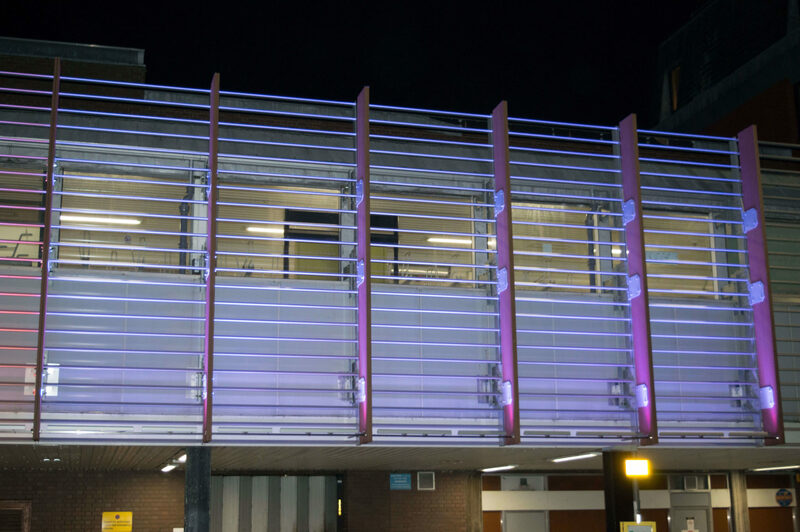 Solution: We provided high output 4 colour LED wall washers with elliptical beam angles, which could all be controlled from a single touch plate.